I've had some fun this week sewing some of this month's Block Lotto blocks. I must say that they looked a bit complicated, but really went up beautifully with the Tri Recs tool. I also like the black background that was called for this month. I'd love to see these set on point in a quilt. I've spent my sewing time this week with a pile of mending and "have to do" sewing, but it feels good to have it done. I did get a bit of fun sewing in with a couple of trick or treat bags for the littlest ones here. We took some of the little ones to the pumpkin patch this week and had a great time. We continue to celebrate October birthdays here. I had a request from one of the granddaughters for a princess cake. The problem was that she wanted one of our family's favorite cakes which is a yellow cake with hot fudge drizzled over the top. 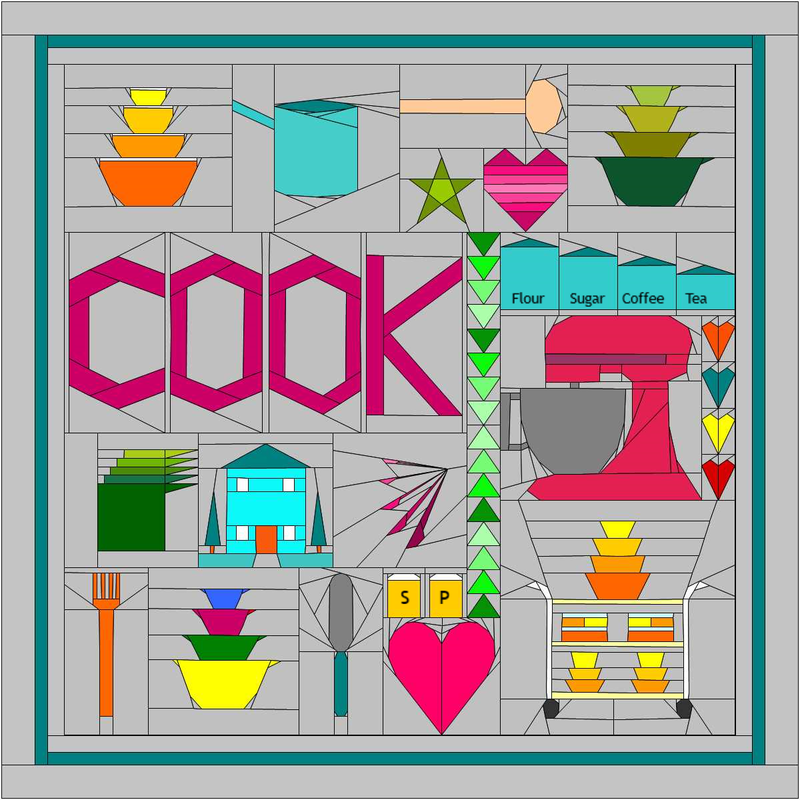 I usually make it in a rectangular pan. I decided to get creative and made a bundt cake, stuck a doll in it and make a gathered skirt to cover the plain cake. Then when we served it we just removed the doll, sliced the cake and drizzled the chocolate over each piece. It worked out perfectly. 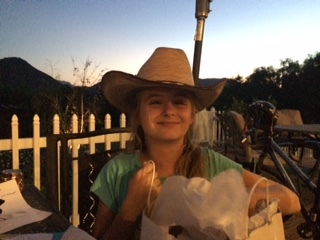 The birthday girl was pleased. That's what matters. Over the weekend we attended the children's school gala at the Reagan Library. It was a spectacular evening for the event and dinner was served underneath Air Force One. 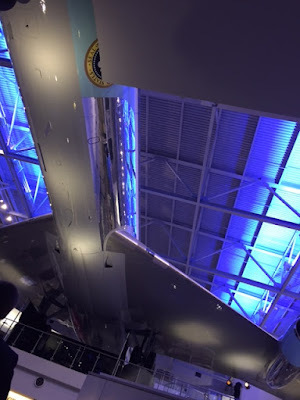 It was quite impressive to look up at the massive plane above the table. View looking up from our table. 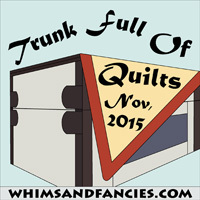 The very talented Soma from Whims and Fancies is going to be hosting a "Trunk Full of Quilts" event on her blog in November. Pop over and check out a way that you can share your favorite quilts that you have completed over the years. After RNG selected two "no reply" comments from my recent Halloween Haunts blog hop, I have finally notified the winner - Angelia (no blog). Hopefully, I will hear back from her soon. Welcome! First of all, I would like to thank Marian of Seams to be Sew for our Halloween Blog Hop. Many of us have really missed our great hops and it is a thrill to see so many "old friends" have signed up and have been sharing their incredible projects. Halloween has always been a holiday that I love. To me, it is a "kick-off" into the fall with Thanksgiving and Christmas right behind. So.....Happy Fall Y'All! Grab a few drinking cups in two different sizes. You will also need starch or white school glue, paper towels, a toothpick, a styrofoam ball (I used a 2 1/2 inch one), spray paint and items to decorate your witch or ghost. Take your bigger cup and turn it upside down. You are going to take four paper towels and soak them in undiluted starch or a school glue that is diluted about 1/2 and 1/2. Drape the four towels over the paper cup - arranging them in a pleasant manner. Take your small cup and place it on the top, gently pushing it down to mold the top to accept it. Remove the top cup and allow the paper towels to dry completely. They will become stiff. I let mine sit overnight. The next day apply a bit of glue to the inside lip of the small cup and place it on top of the dried first cup. Continue to soak and drape four more paper towels over the top of the small cup - just like you did with the first cup. Arranging the drapes in a pleasant manner. For the witch you will need to take the toothpick and insert a small portion of it into the styrofoam ball to form a nose. Make it as long as you want. Omit this step for the ghost. Place a bit of glue on top of the small cup and attach the ball with the nose in the appropriate spot. Again.....drape four more soaked paper towels over the top of the ball, molding them around the toothpick and draping downwards. You will now wrap a rubber band or some sort of string around the base of the ball to form a neck. Now for the fun part. Remove the rubber band. Spray paint as desired. I used black for the witch and white for the ghost, but I am sure a hot pink ghost would be perfect too. ;-) Decorate as desired. Dressed for a night on the town. 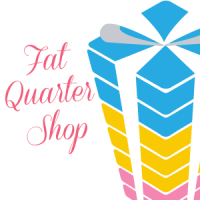 Be sure to visit my fellow "hoppers" for today and sign in to the Rafflecopter on any blog for a chance to win a great gift from the Fat Quarter Shop. As well, I have a small giveaway for the fall season. It is a grouping of six fall fat quarters. Please leave a comment below and I will select a winner at the end of the hop. A full list of all of the participants is included below. 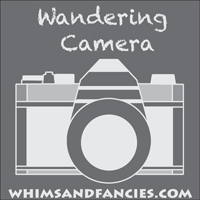 You can still go back and check out their blogs and get some great ideas for Halloween decorating as well as enter their giveaways. 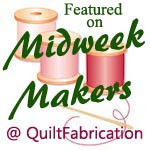 Also, be sure to stop at Marian's blog, Seams to Be Sew, to enter her pattern contest, collect today's pattern and vote on today's projects. I have had the fun chance to pattern test Bandbox for Emily of Aunt Em's Quilts and am quite pleased with the way it turned out. I have been wanting to use some of the reproduction feedsack fabrics and decided this was the perfect pattern for them. The quilt is crib size - 42x54 inches. I used a white flannel on the back which will make the quilt very soft and comforting. While we were away on vacation several delightful packages arrived in my mailbox. It's always fun to come home to such fun surprises. First off was a box filled with goodies from Ida at My Sis Made Me Do It. There were wonderful fall kitchen towels, an adorable hankie doll card and amazing pincushions that she made. I fell in love with her cactus pincushion when she had her Pincushion Parade and she mailed it to me. Thank you so much, Ida. 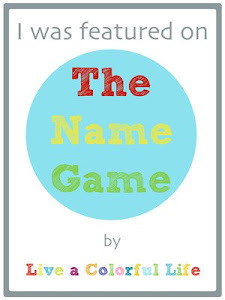 Then there was a book from Linds at Rocking Chair Reflections. Her review of it sounded wonderful so I am looking forward to digging into this one. Thanks, Linds. I received three patterns from a giveaway that Carol of Just Let Me Quilt had. I think I need to make the hanging bat one for my next Halloween project. That is so cute and the grandchildren would love it. Thanks, Carol. Lastly, I received a box with a fat quarter bundle of Frosty Forest from My Fabric Relish. I was the winner from Lisa's Christmas in July Hop. I posted about the patterns that I also received from Cherry here. I think the tree skirt is in my future! I'm looking forward to getting back to the sewing machine on a more regular basis once I finish emptying boxes and cleaning up from the remodel. I was spoiled when I had an excuse for not cleaning house!!! 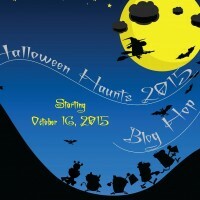 Halloween Haunts Blog Hop starts today. I am so excited to see all of the great projects that people have been working on for the Hop. There will be great prizes along the way so be sure to check it out. Come back on the 26th and see what I am doing with this crazy project. The old blog has been a bit quiet here. We were actually away on vacation for the last two weeks – over 5,600 hundred miles, thirteen states and way too many meals out! If was great to get home again, but life has been completely hectic since arriving. Plus….someone turned on the heat here. Yikes. We actually recorded the hottest temp in the nation with a temperature of 108* on Friday. It is suppose to remain warm for at least another week, but we did get some nice cool temperatures on our trip. We visited all three of the grandkids who headed off to colleges this year – NAU in Az, University of Dallas in TX and Benedictine College in KS. They are all settling in and enjoying college life. We saw amazing scenery along the way. Late evening harvesting of corn. DH got to help each day as my cousins did beans and corn from 7a.m. until past 11 each night. They farm over 3500 acres. Amish farming at a neighboring farm....a different technique for harvesting their beans. A new batch of pigs arrived while we were there. 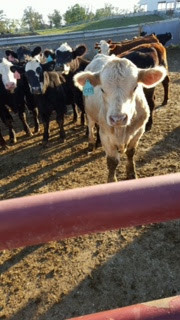 Cattle too....it's a busy farm. 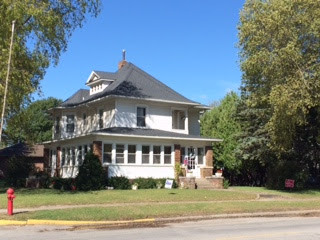 My grandmother's home. A cousin now lives there. The beautiful Stanley hotel in Estes Park, CO.
Elk roam the town in Estes Park. Splashes of fall colors in the Rockies. The scenery was so pretty along the routes that we took so I got very little stitching done along the way, but I did catch up on my Minion beanies! It felt good to be home again and back to our busy schedules here. Construction should be completed by tomorrow and now the cleaning will begin. I may surface one of these days!!! !